A qualified donee is an organization that can receive gifts from registered charities. A Canadian charity may transfer money or other resources to a qualified donee and have the qualified donee’s work be deemed to be their work. In this way, the giving charity does not violate the Income Tax Act’s (ITA) requirement that it spend all of its resources only on charitable activities carried out by itself. 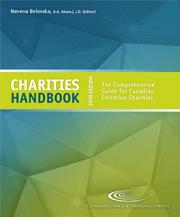 A charity cannot simply send funds to a church or any other entity outside Canada that is not a registered Canadian charity, even if doing so would accomplish the very same kind of activities the charity is doing in Canada. A charity may only transfer up to 50% of its income to a qualified donee. Note that income in the context of transfers to qualified donees is precisely defined in the ITA. 42: May a charity transfer money or property to another charity or person?